1. [ Architecture] Optimized broadcasting speed. 1. BTT is now listed on 41 exchanges including Binance, OKEx, Bittrex International, Huobi, HitBTC, Bithumb, Bitfinex, Upbit, KuCoin, Gate.io, Cointiger, Bitbn, TRX Market, Coinspot, Sistemkoin, Exrates, Satowallet, Coinexmarket, MBAEX, Coinex, BitForex, Changelly, Cross Exchange, DigiFinex, Bitpie, BikiCoin, SWFT Blockchain, Koineks, CoinAll, 55.com, BitMax, BitMart, ExShell, AnyBit, ChangeHero, AltCoinTrader, Cachierest, CHAOEX, SPICEX, Coinsuper, BitAsset. 2. You can now pay for Windscribe VPN with BTT. Another step toward privacy and a boundary-free internet! Check them out at https://windscribe.com and browse the web privately as it was meant to be! 3. Looking for new challenges, work on cutting-edge technology and be at the forefront of unique content experience? Come join us! 1. TRON has officially acquired CoinPlay, world’s largest blockchain application store. CoinPlay brings together a wide range of blockchain apps and DApps, providing one-click downloads of a variety of blockchain software and games, as well as practical guides, browser navigation, ratings, and indices of major currencies. 2. BitTorrent began offering early access to its new BitTorrent Live streaming service, which enables consumers to create live content and connect on mobile devices to people who share common interests. BitTorrent Live has started user testing on the live streaming service it provides. 4. On March 29th, according to Tronscan, a total of 3,306,472 transactions were made on TRON’s network in the previous day, nearly five times that of Ethereum which had 625,948. 7. 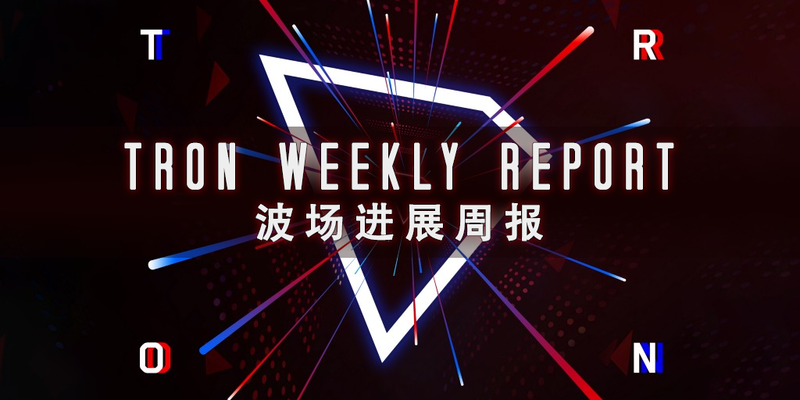 On April 3, TRON’s block height reached 8,041,115, exceeding 8 million. With the continuous development of the TRON network, the community ecosystem will be improved to nearly perfect and more and more smart contract developers will use the TVM. The ever growing ecosystem is accompanied by higher trading volume and further implementation of blockchain technology. 1. TronGrid – Running performance and load tests. Improved transaction query performance by 100 times. The MVP is ready for external testing. Improving performance monitoring and back-up system. 4. USDT-TRON – Updated the program to include create smart contract function, exposed APIs, and CLI. Exposing port to obtain TRC20 balance of all accounts. Successfully tested AirDrop on test network. 5. Chinese media outlet Jinse Finance covered the news that TRXMarket was included by Coinhills. Coinhills provides Bitcoin enthusiasts with accurate and comprehensive Bitcoin indices and information on a simple and clear user interface. TRXMarket is the world’s first Decentralized Exchange (DEX) based on the TRON ecosystem, with zero transaction fees. 3. 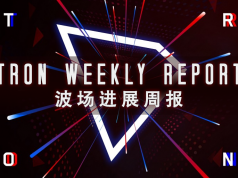 Well-known digital asset storage platform Huobi Wallet, well-known digital asset platform BigOne, well-known digital asset platform COINTIGER, well-known digital asset trading platform Bit-Z, well-known digital financial exchange ExShell and well-known exchange BTEX announced supports for USDT-TRON conversion.